Recently, The Folio Society has been putting together some beautiful science fiction and fantasy books: Dune and The Man in the High Castle each came out earlier this year. 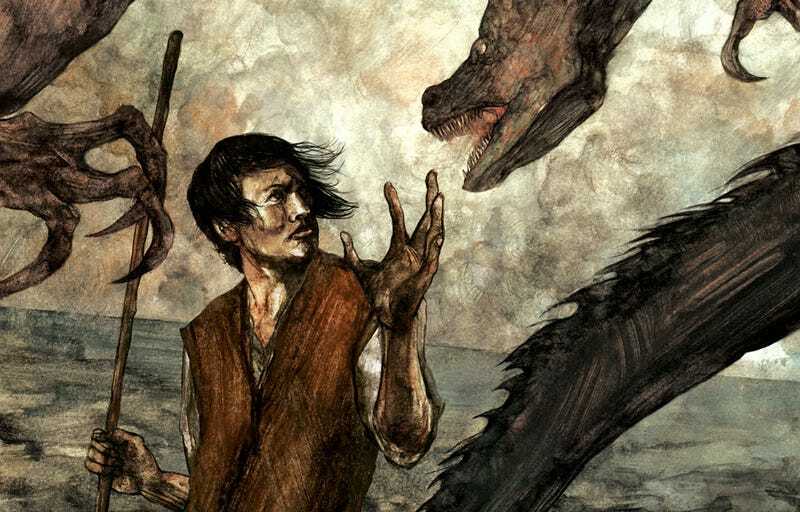 Now, Ursula K. Le Guin’s fantasy A Wizard of Earthsea will be getting its own special treatment, and will correct a long-standing issue that Le Guin has had with her book covers. Introduced by novelist David Mitchell, this edition will feature illustrations from David Lupton, who worked closely with Le Guin to illustrate her fantasy world. In doing so, Le Guin was able to correct a problem that she’s had with earlier editions: inevitably, the Ged featured on the cover was drawn as Caucasian, whereas she deliberately wrote him in as having a very different ethnicity - a problem that was carried over into the ill-fated SciFi television miniseries. A Wizard of Earthsea is now available from The Folio Society.